● 3 sections. Dia. : 55mm, 45mm, 38mm. Leg dia. : 30mm. ● 2 risers extend simultaneously at one elevation of 4.4cm per handle turn. ● Safety cable ensures simultaneous retrieval of all sections. 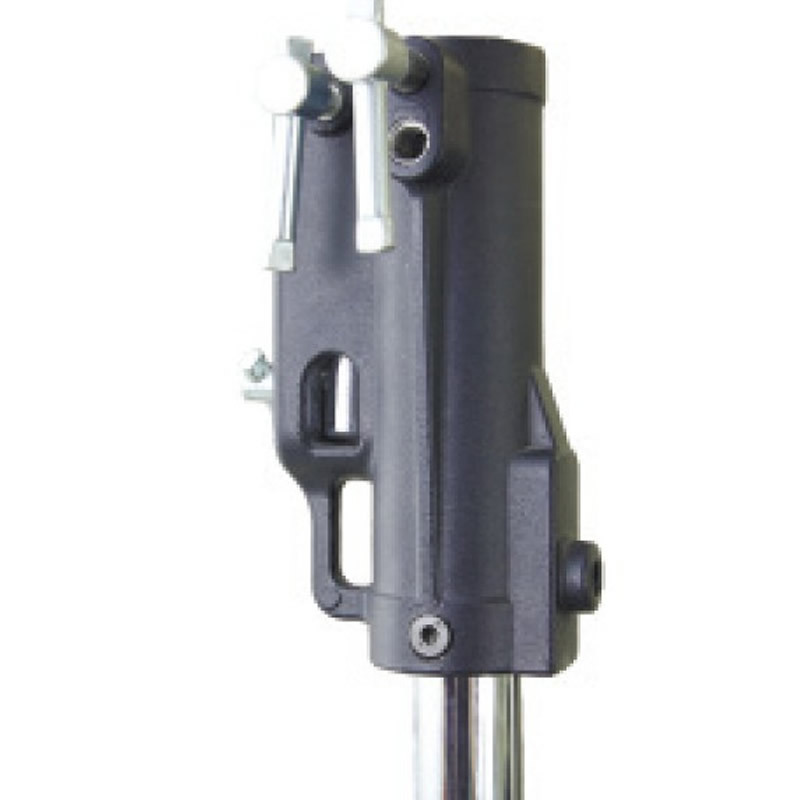 ● Chrome plated steel stand w/geared column. With 1 leveling leg. 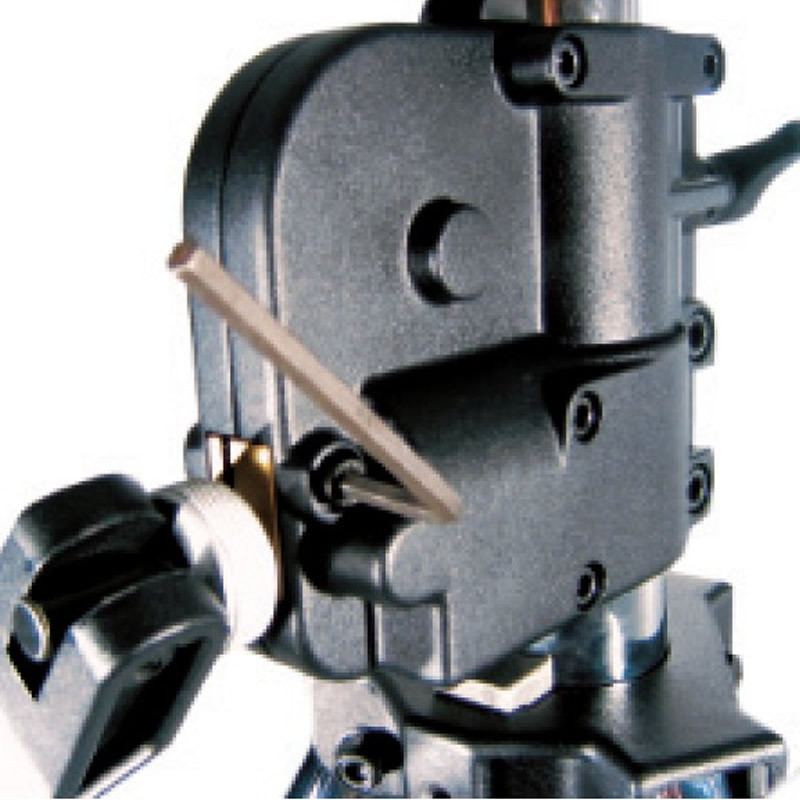 PATENTED: The Safety Pin Will Auto Insert to The Holey Tube When Wind-up. LOCK POSTION: The safety pin will auto insert to the holey tube when wind-up. 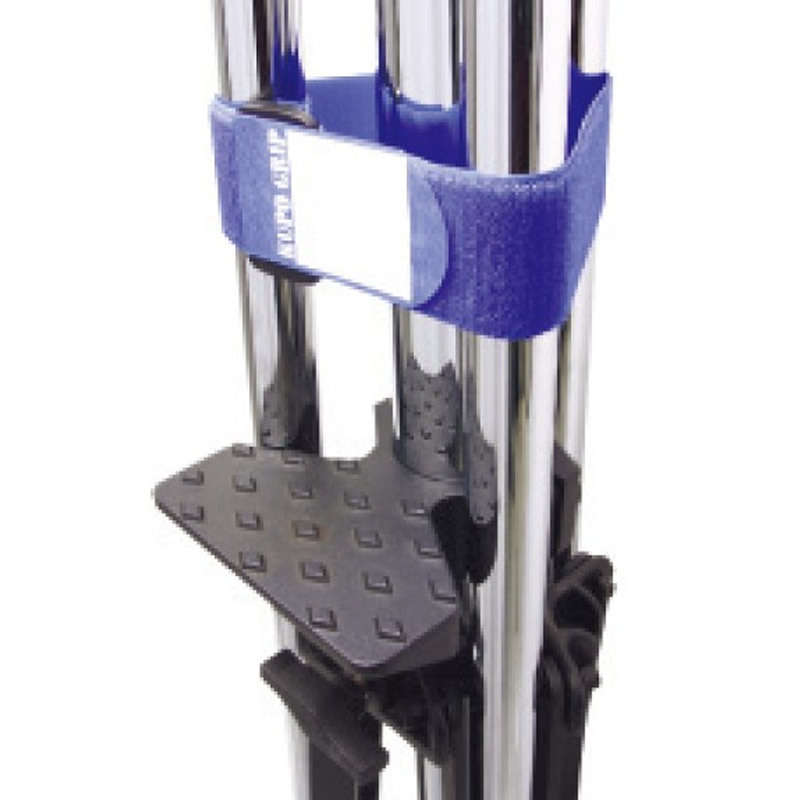 The stand top mounted by a steel bolt through the top tube that offers most sturdy and solid assembly. UNLOCK POSITION The inside spring will bring the safety pin back. The crank handle folds back for travel. 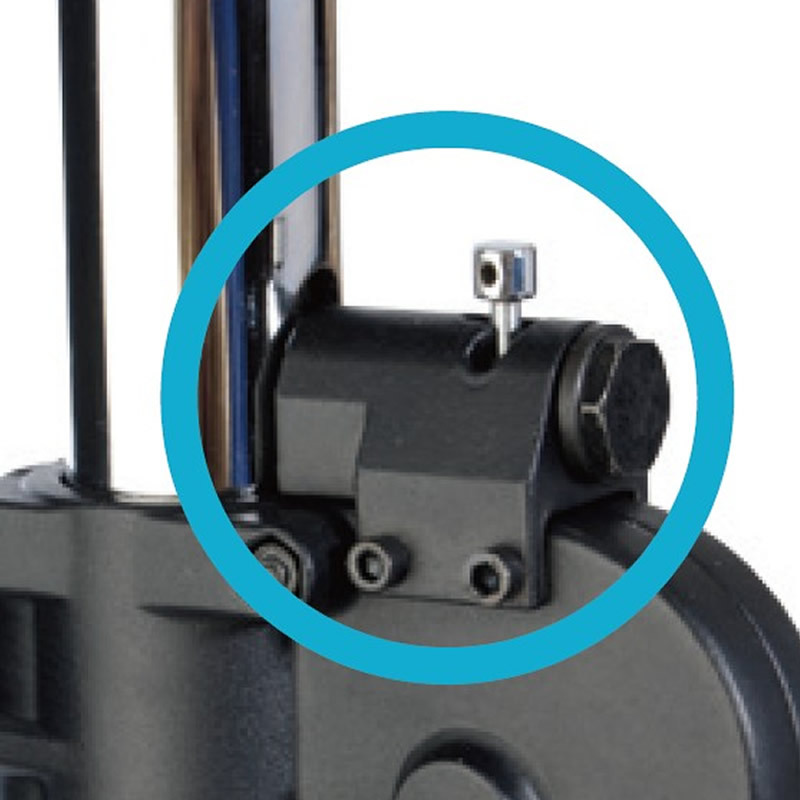 It also can be placed in between ripod legs to prevent the risers from falling accidentally if the lock is unexpectedly disengaged. The tension of brake shoe can be adjusted with Allen wrench. Velcro is supplied for better cable management. Top section tube can be adjusted by stepping on foot step. 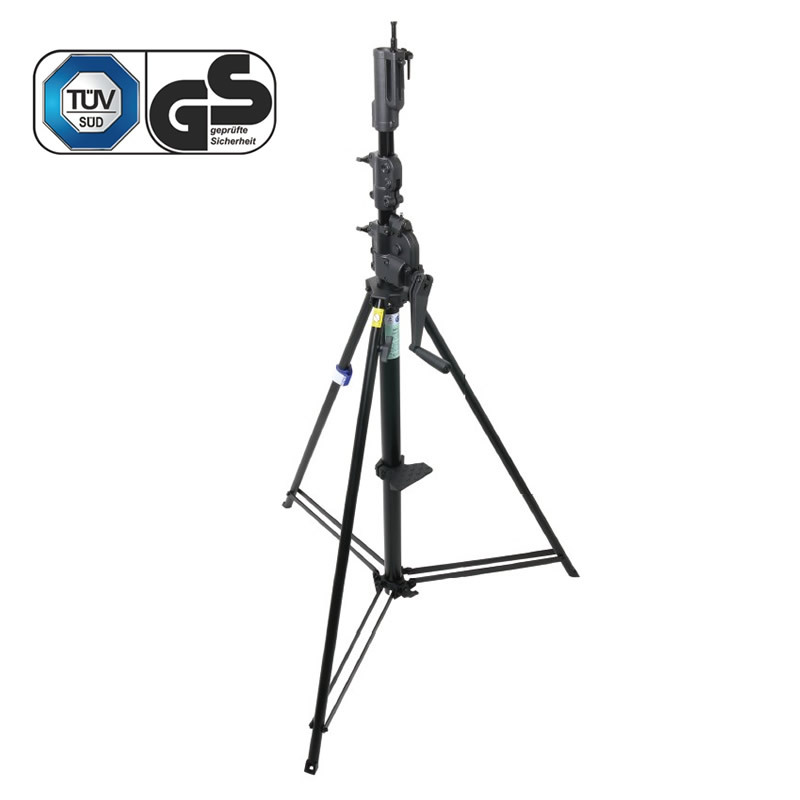 By using the leveling leg the stand can be quickly leveled on uneven terrain. Bright color warming sticker for safety operation. 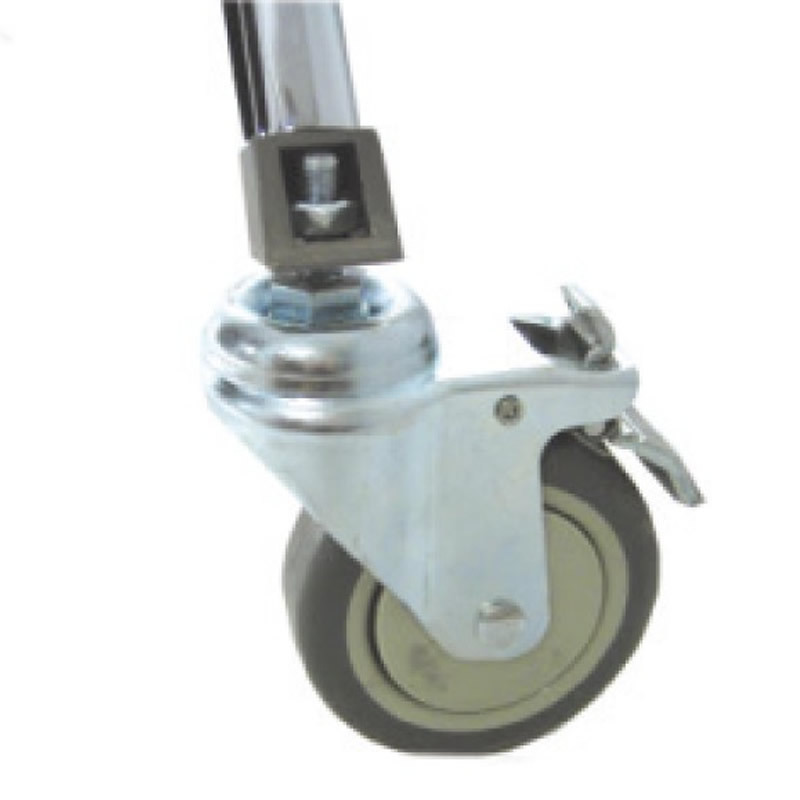 Casters are optional for easily moving the stand. 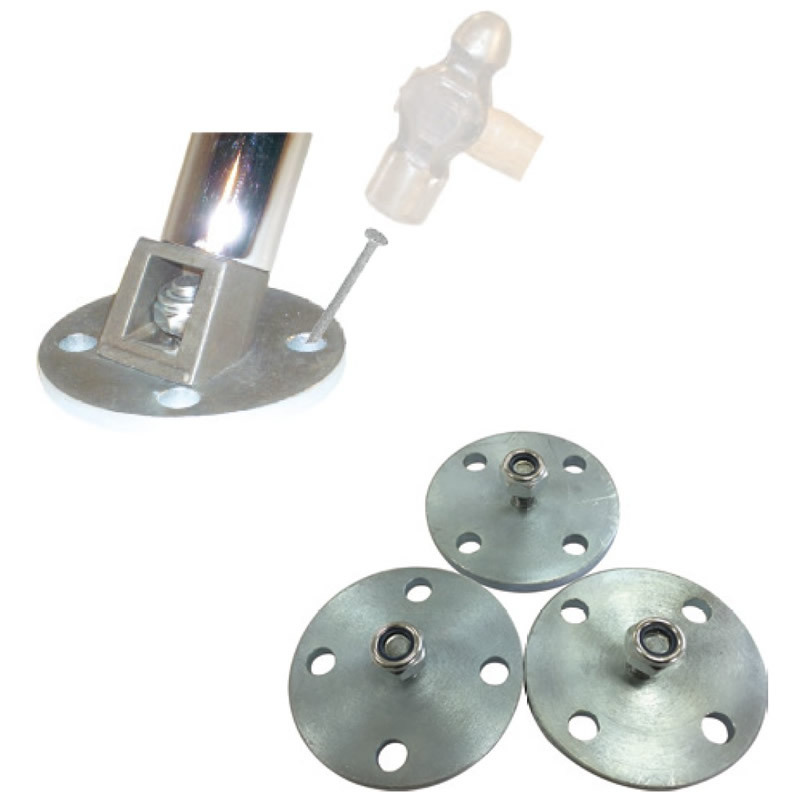 The stand foot is rugged zinc-casting. Dia. 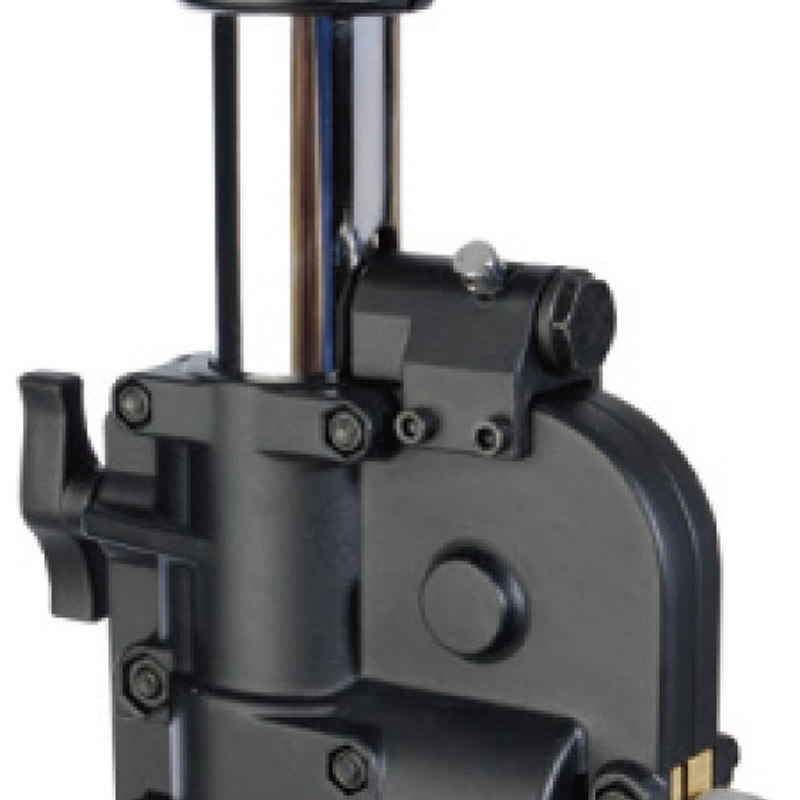 : 100mm with brake and M10 attachment. A set is for three (KC-100). 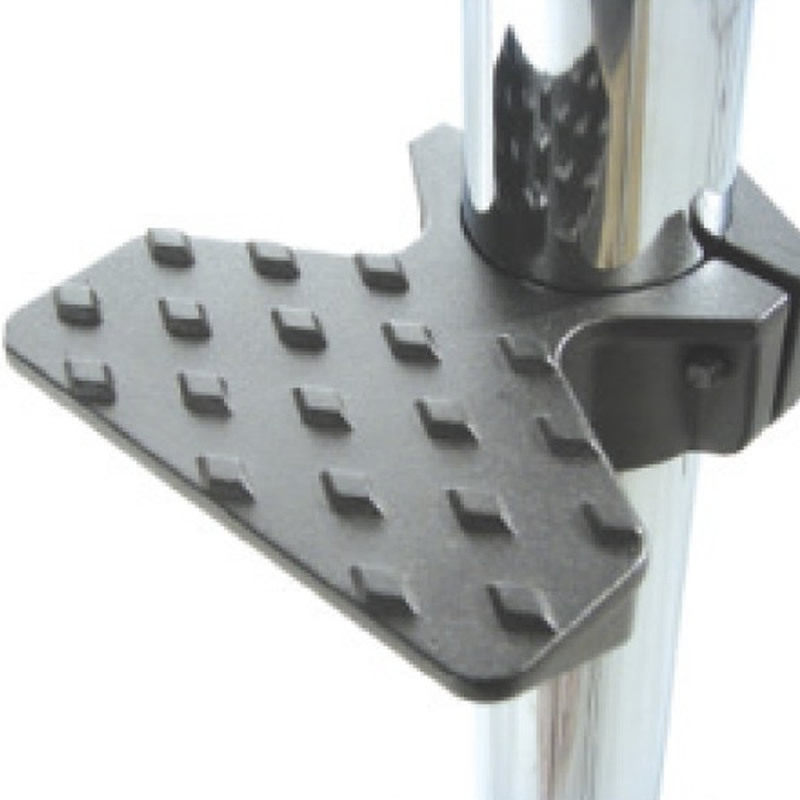 483-BP Base Plate Optional accessory to be used where the stand has to be secured to the floor for safety reason. 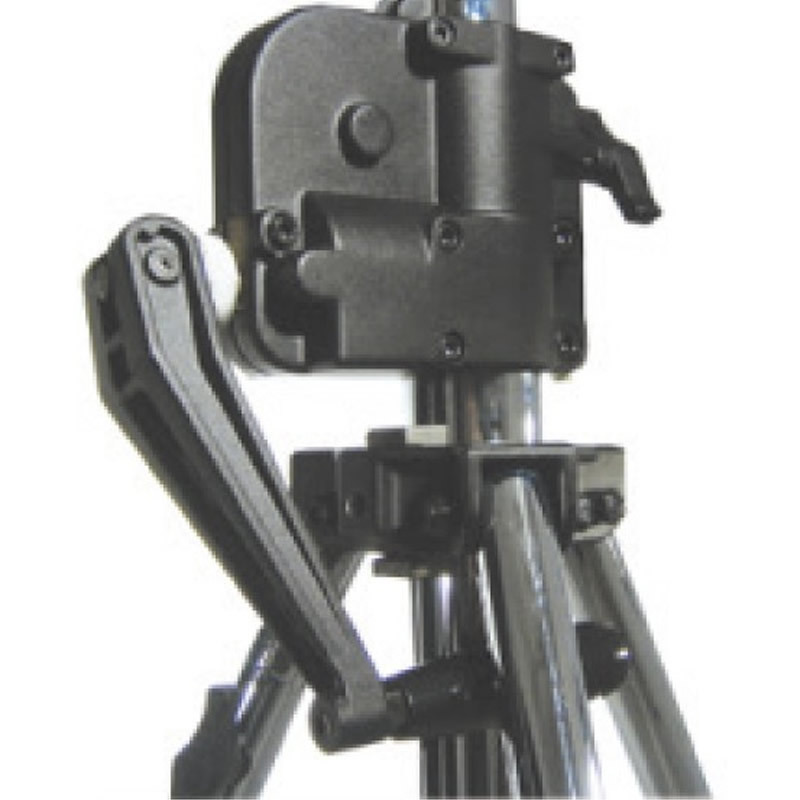 Kupo wind-up stands are constructed by chrome plated steel with geared column that enable a single operator to raise and lower heavy loads safely with just turn of a handle. 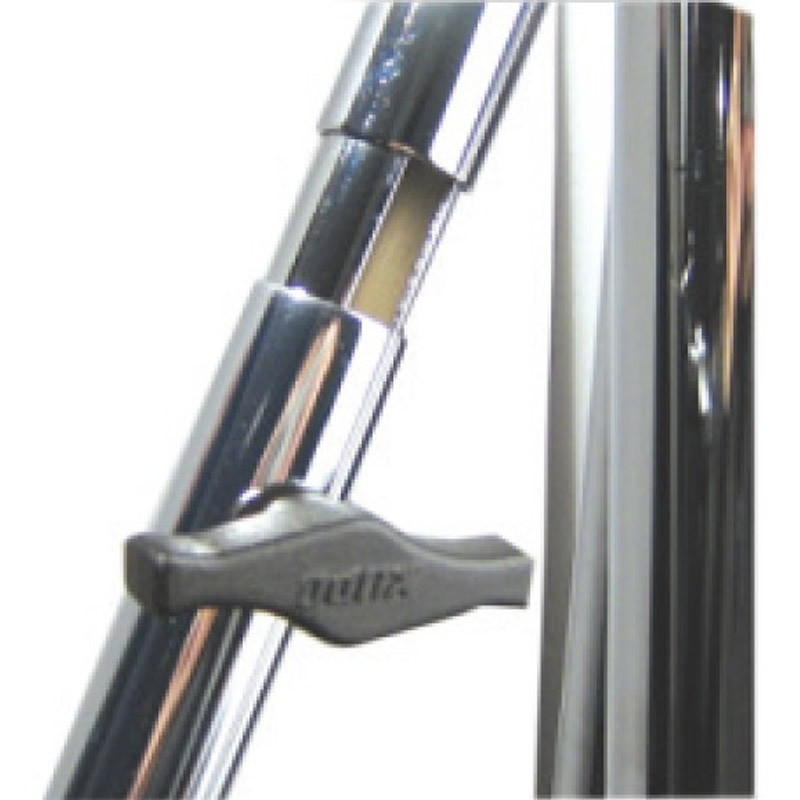 Both risers extend simulataneously at one elevation of 4.4cm by per handle turn. 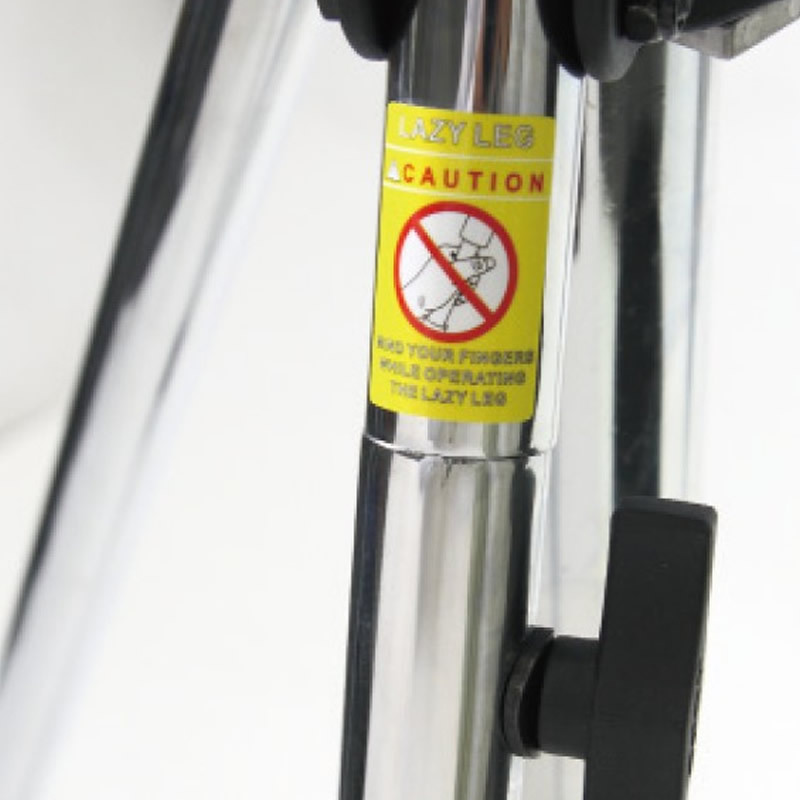 The unique automatic self-locking mechanism is equipped to prevent the light stand from dropping unexpectedly making the operation safer.